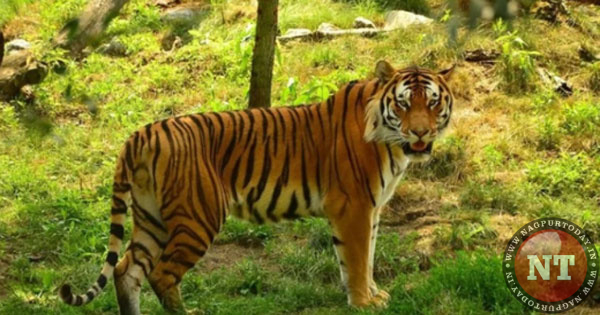 Nagpur: The ghost of Pandharkawda tigress T1 has been haunting the shooter Asghar Ali Khan, son of controversial gunner Shafat Ali Khan, as National Tiger Conservation Authority (NTCA) committee has submitted its final report in the case. The committee has pinpointed various loopholes in shooting down of Avni (T1) on November 2 in Borati forests. It completely ruled out the possibility of Ali shooting the big cat in self-defense, the excuse given for justifying the action. NTCA’s probing committee comprises former additional principal chief conservator of forests O P Kaler and NGO Wildlife Trust of India (WTI) member Jose Louies. The panel probed into the final operation to eliminate T1 and submitted its report on November 27. The committee’s report clearly highlighted violation of forest laws by Asghar. It held him responsible for various lapses and violation of Section 3(1) of the Arms Act, 1958; the Indian Veterinary Council Act, 1984; the Wildlife (Protection) Act, 1972, and NTCA Standard Operating Procedure (SOP). However sources said that lack of clarity over submission of report has surfaced within forest department as PCCF (wildlife) AK Misra has claimed that he had not received the report as he was travelling out on official tour. Meanwhile NTCA member-secretary Anup Kumar Nayak have sought a response from the state government and PCCF (wildlife). After their reply, the report will be made public. Nayak confirmed that there were serious lapses and violation of NTCA SOPs, Arms Act and Wildlife Act in the T1 killing. When Misra was asked whether he would act against the shooter in case of violations, he quipped, “Any action will be taken as per state government directions.” Misra had invited shooter Shafat Ali Khan to tranquillise or shoot T1 on the directions of forest and finance minister Sudhir Munantiwar. The report states that after firing the dart the vehicle moved further towards the tiger instead of stopping or backing off from the darted animal. The intention of darting the animal is in question, as there was no induction period as clearly required by NTCA SOP.